Email Data by City, State, County or Zip Code Quickly & Easily. 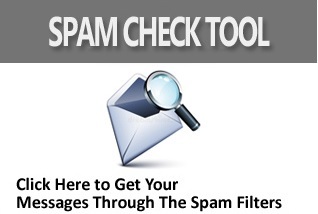 Build Precise Targeted Email Lists Right Here. Direct your email advertising to consumers or businesses based on interest, hobby, gender, age, occupation, industry, state, city or zip code. Interested in Handling your Own Email Campaigns? Creating Ads, Importing Lists & Broadcasting Campaigns Using our Software is as Easy as 1-2-3! Ideal solutions for bulk e-mailing campaigns of any size. Choose from 4 different email marketing software tools that make email advertising easier than ever. Email is a powerful and cost-effective marketing approach that makes it easy to get your message across to large numbers of customers FAST. Let us show you how. Custom targeted email address lists based on a wide range of demographic criteria. Finding prospective customers interested in your product or service has never been easier. Choose from 6 different targeted pop-under advertising packages that capture your user’s attention and direct visitors to your web site. What People Say About Horizon? "Horizon Advertising has been very instrumental and helpful when it comes to deploying our client's email blast. I highly recommend any type of business to use Horizon. The team demonstrates professionalism, efficiency, cost effectiveness and fast-turn-around. We are very happy and satisfied with them." Michael Brooks, CEO - Commercial Capital Investment. "Commercial Capital Investment operates several global websites in which over the past several years, we have used 10 - 15 different "E Marketing" Sites to generate both exposure & ROI. Horizon has been true to their product. Great Job thanks." Michael Pirolo, CEO - Government Contract Registry, Inc.
"Horizon has been GREAT when it comes to deploying our email campaigns to our clients. I highly recommend Horizon Advertising services. We are extremely happy with their system and service. " "I wanted to drop you a quick note to thank you for the work you’ve done and the technology you’ve provided through your services at Horizon Advertising. We’ve been working with you since 2011—this is now our fifth year."